Approx. 7 x 7 x 8 in. 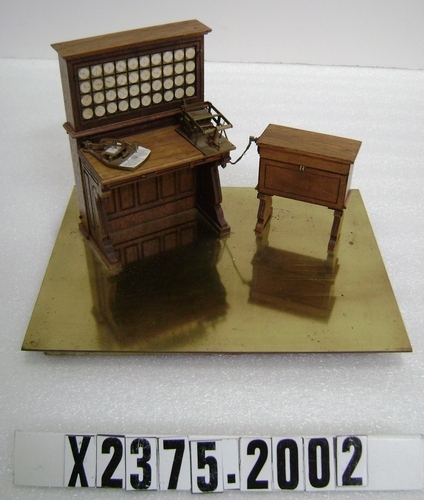 A scale model of the Hollerith Census Machine. 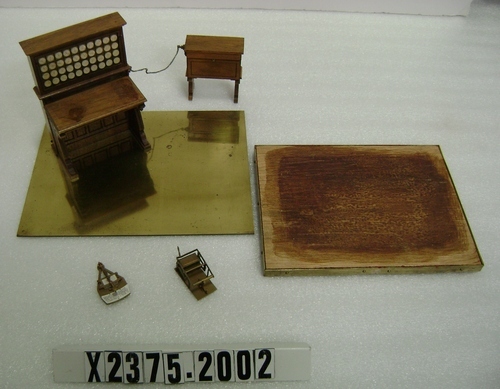 It consists of four pieces, including a brass base, the lower red velvet covered wood base, pantograph type punch and card reader.